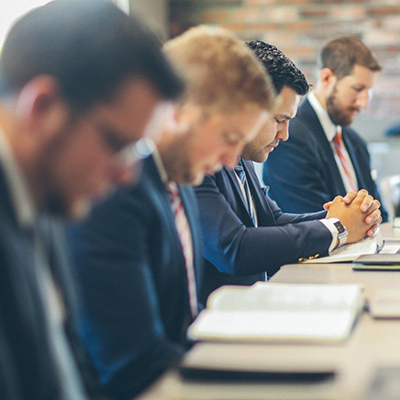 Though many English-language seminaries exist in the U.S., there are few places where Spanish speaking pastors can go to be grounded in the truth of God's Word. The Instituto de Expositores (IDEX) offers programs for every level of training, from more basic courses in Bible and Theology to advanced exegesis courses in Hebrew and Greek. All these courses are designed to help students deepen their understanding of God and His Word, not only that they themselves might be holy, but also so that they might rightly divide the Word of truth. Only after completely understanding God's Word can one communicate His message in a way that honors Him, not scratching the tickling ears of the hearers with human wisdom, but expositing His Word, verse by verse, to His glory. The Instituto de Expositores trains pastors and teachers to accurately exposit the Word of God. This is accomplished through night classes on the campus of Grace Community Church and also through an online program for students who live internationally. If you would like to learn more about our school, please feel free to contact us.